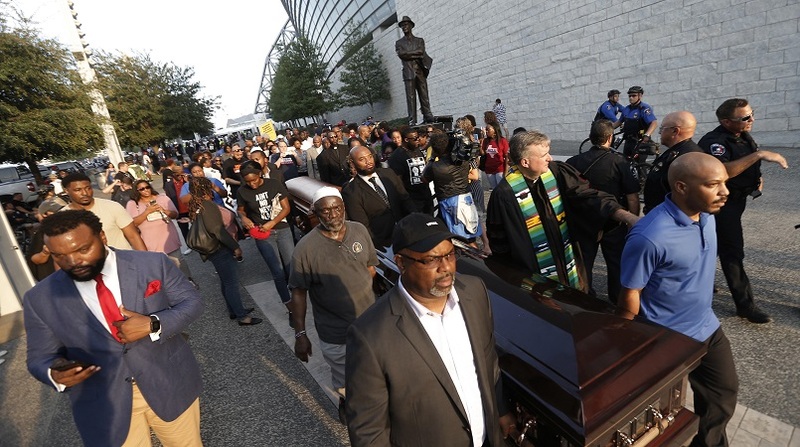 About 75 protesters gathered outside AT&T Stadium in Arlington, Texas before a Dallas Cowboys NFL game Sunday night to stage a symbolic funeral procession. 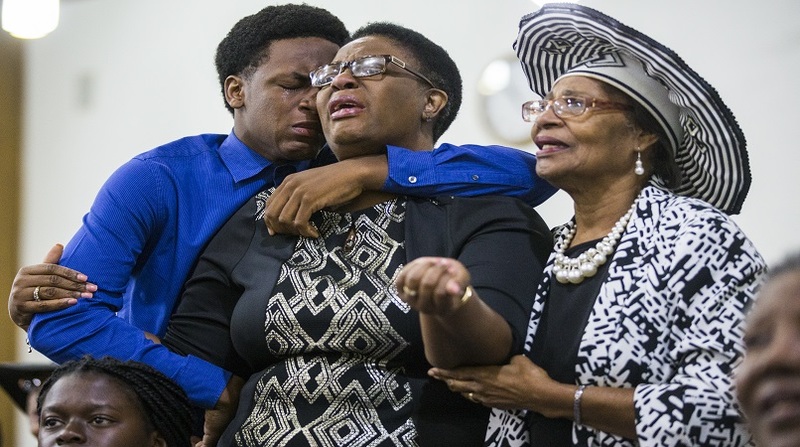 They carried a pair of caskets to protest the killing of St Lucian Botham Jean, who was fatally shot in his own apartment by Officer Amber Guyger, and the killing of O’Shae Terry, a black man shot by an officer at a traffic stop earlier this month. 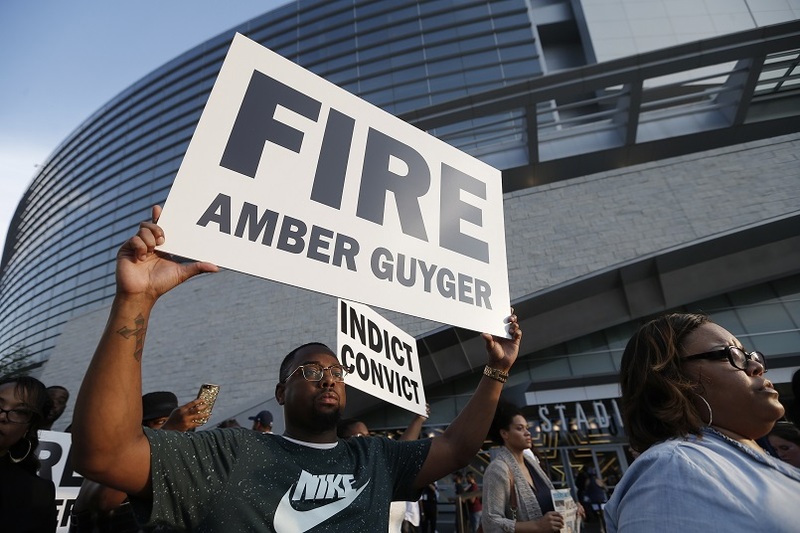 The protesters, which included Jean family lawyer Lee Merritt, called for Amber Guyger to be fired and charged with murder. She has been charged with manslaughter and was released on $300,000 bond. 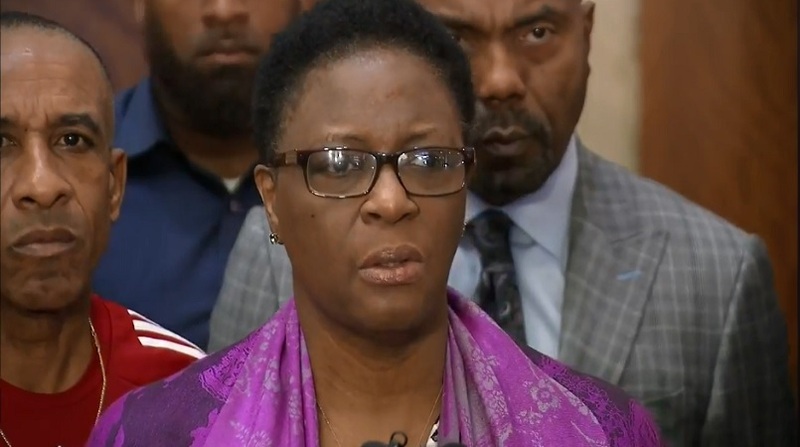 The final charge will be determined by a grand jury according to the District Attorney. 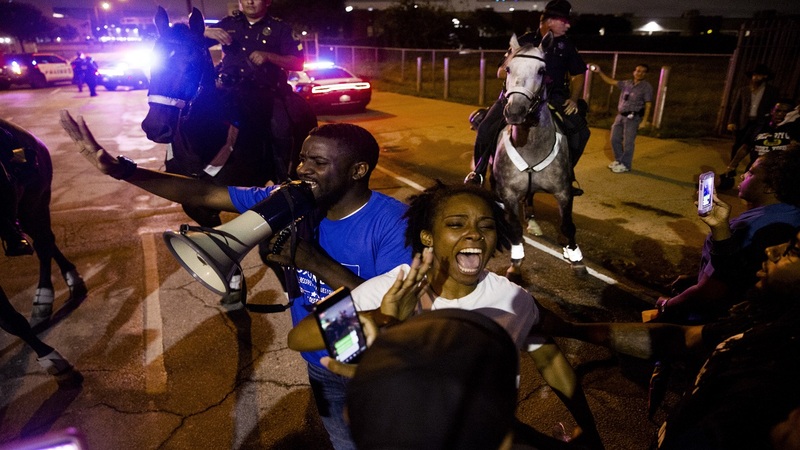 Nine protesters were arrested for blocking an intersection. They had broken away from the other group at the time. The NFL has been fraught with tensions over protests. Former NFL player Colin Kaepernick began protesting police brutality and racial inequality by kneeling during the national anthem before games in 2016. Kaepernick has not played since 2017 when he became a free agent. He has filed a lawsuit against the league saying they colluded to "deprive Mr. Kaepernick of employment rights in retaliation for Mr. Kaepernick's leadership and advocacy for equality and social justice and his bringing awareness to peculiar institutions still undermining racial equality in the United States." Sunday night’s protesters called on Cowboys owner Jerry Jones; quarterback Dak Prescott, who is black; and the rest of the organization to join them in the fight for justice. The protesters knelt and prayed. Dak Prescott previously weighed in saying, “I’d never protest during the anthem, and I don’t think that’s the time or the venue to do so. The game of football has always brought me such peace, and I think it does the same for a lot of people.” Jerry Jones has said, “ Our policy is that you stand at the anthem, toe on the line."